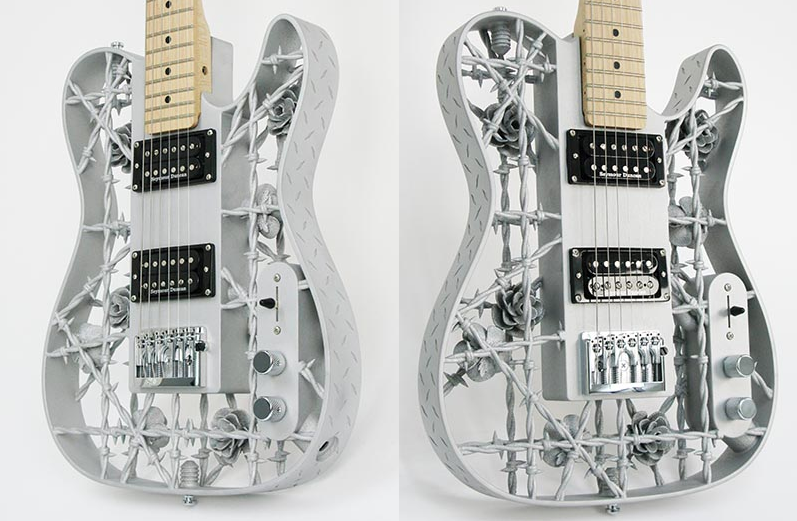 The world's first 3D printed aluminium guitar! 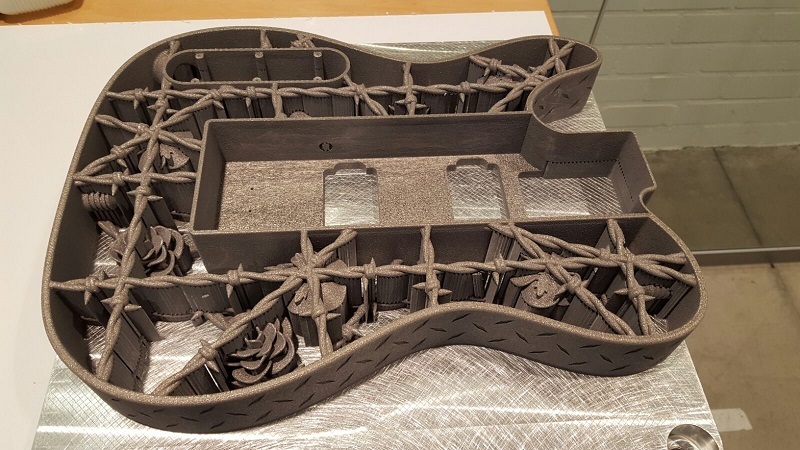 This guitar was designed to explore what metal additive manufacturing (3D printing) is capable of, and to better understand the intricacies of the whole process, from “design for additive manufacturing”, to the actual printing of the guitar, to the post-processing that is required to go from a printed metal part straight of the machine to a usable masterpiece. 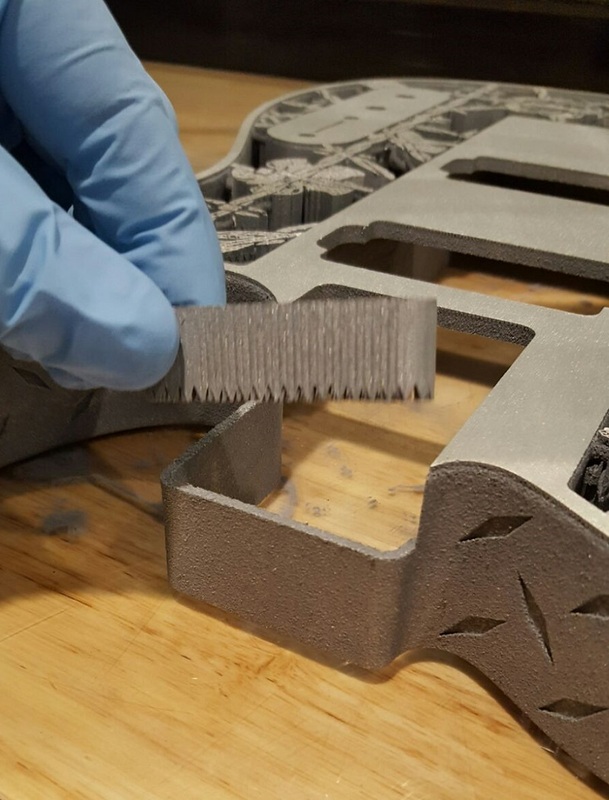 The design of the guitar is purposefully complex to really push the limits of metal additive manufacturing. 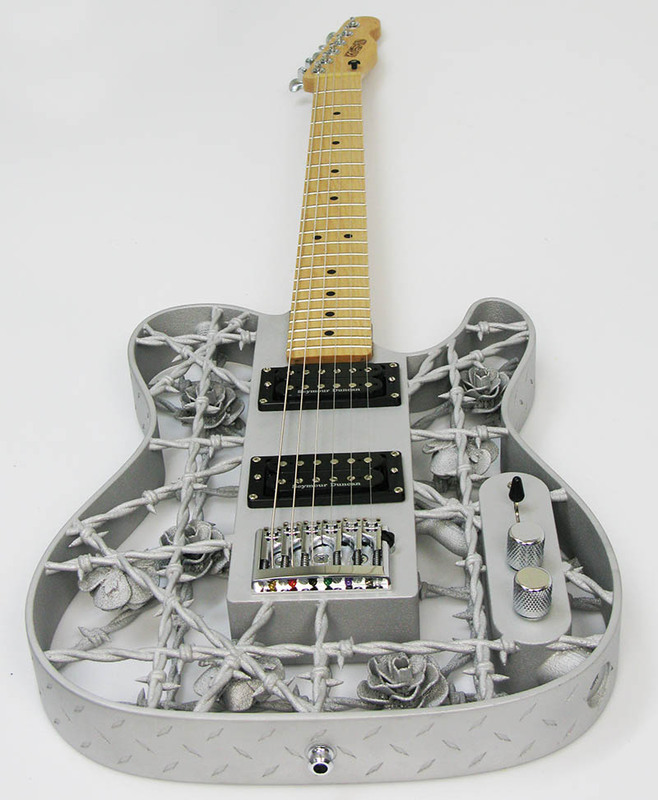 The guitar, designed by Olaf Diegel, features a diamond tread-plate Telecaster style body, with a front and back made of barbed wire (but with the barbed wire spikes kept well away from the player) and roses inside the body. The guitar was originally nick-named War and Peace, but Heavy Metal seemed a more appropriately literal name. 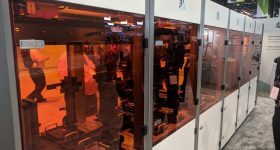 The entire body was printed, as a single piece, in aluminium using an EOS M400 metal additive manufacturing system. The guitar body was printed by Xilloc in Holland. The guitar features a maple wooden inner core, a Warmoth custom neck, Seymour Duncan pickups, a Schaller bridge, and Gotoh 510 mini locking tuners. 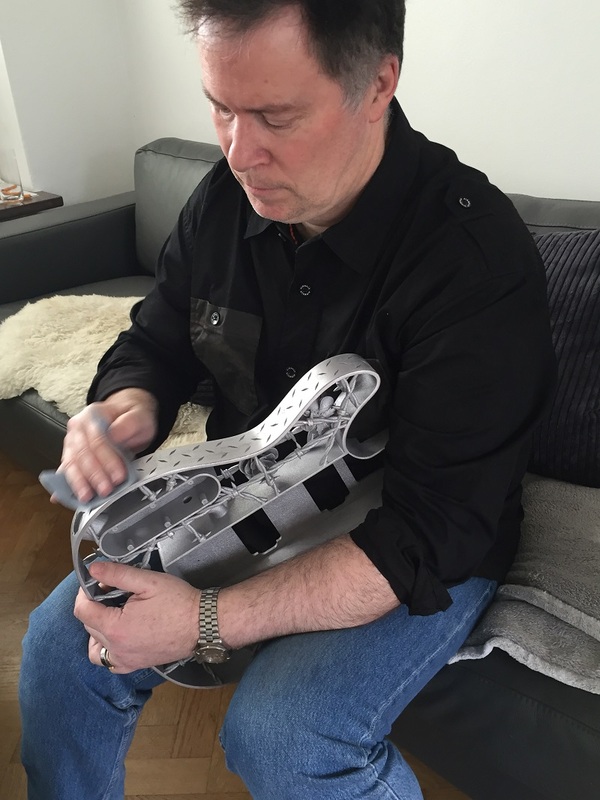 And a special thank you goes to the team at Xilloc for the great job they did in printing the guitar body! The Heavy Metal Guitar Manufacturing Process. 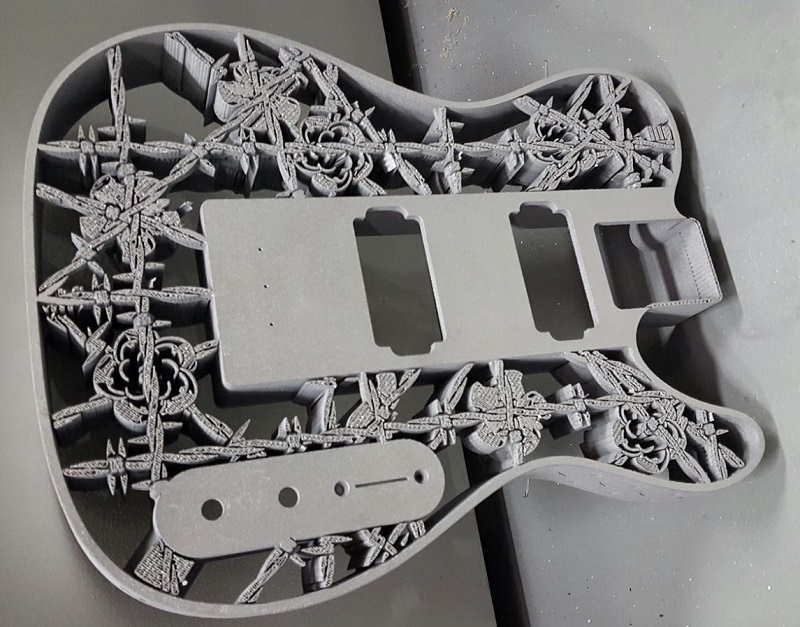 I thought it worth describing the overall process of making this 3D printed aluminium guitar in order to give potential metal AM users a better idea of what the process involves. 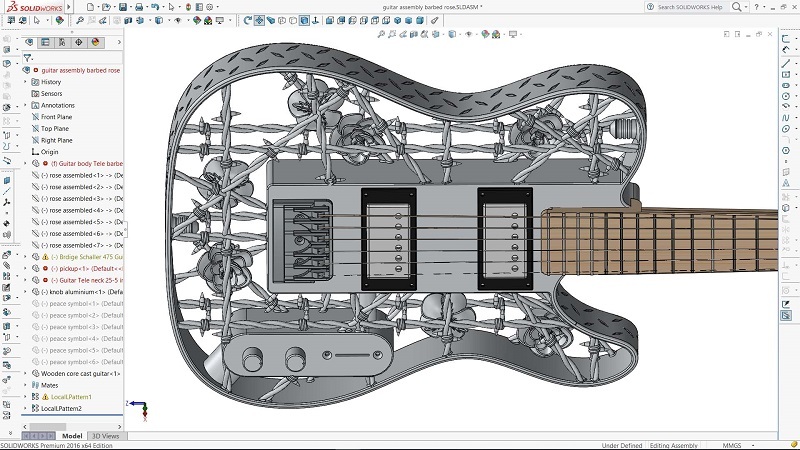 The process of making the Heavy Metal guitar began with a CAD design of the instrument. This design was undertaken using Solidworks CAD software. 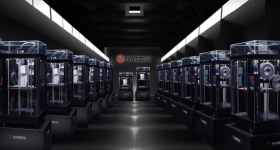 The CAD model was then saved in STL format, the standard file format used by most 3D printers today, and sent to Xilloc, in Holland, for printing on their EOS M400 metal additive manufacturing system. 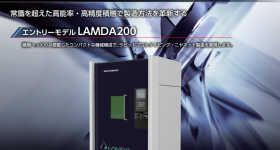 This system is a powder-bed fusion system that works by spreading a thin (typically 0.1mm) thick layer of metal powder, in this case aluminium powder, and then uses a laser to trace each particular slice of the 3D model onto the powder. Wherever the laser hits the powder, the powder gets fully melted, while the rest of the powder doesn’t. 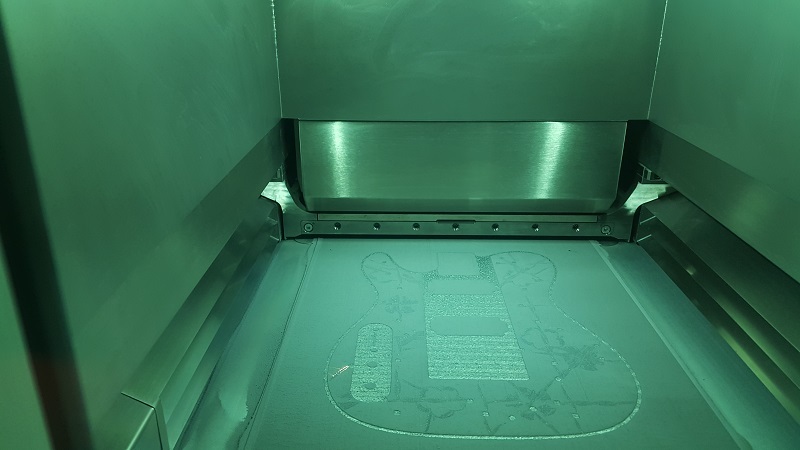 The picture below shows a layer fo the guitar being melted by the laser. 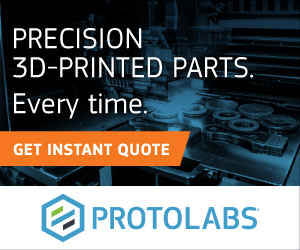 The process is then repeated, layer-upon-layer, until the entire guitar body has been printed. 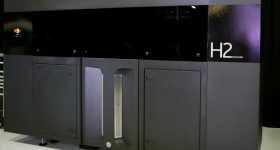 When printing with metal, intense heat concentrations are present in the part wherever the laser is melting the powder, so sacrificial material (usually referred to as support material) is used to transfer heat out of the part and into the base-plate that the part is essentially welded to. 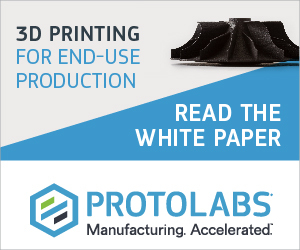 This prevents the part from distorting or having areas of weakness caused by heat stress concentrations. 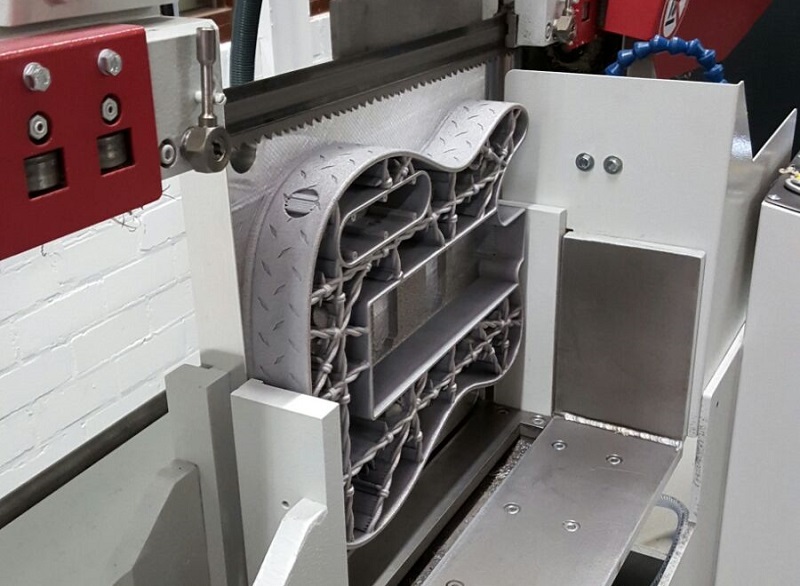 The above picture shows the guitar as it came out of the additive manufacturing system. 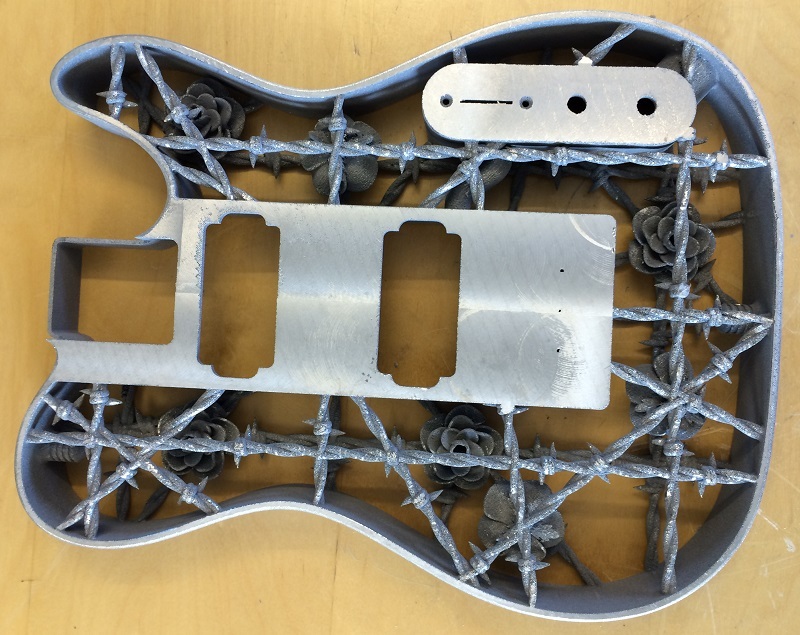 The entire guitar is welded to the base plate, and the support material can clearly be seen supporting the top barbed wire strands, and all the flowers. The next step is to remove the guitar from the build plate. 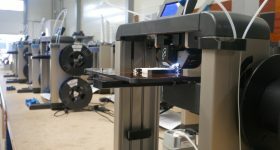 This can be done through wire-EDM, or with a saw as shown below. And then begins the toughest part of the entire project: Removing all the support material. 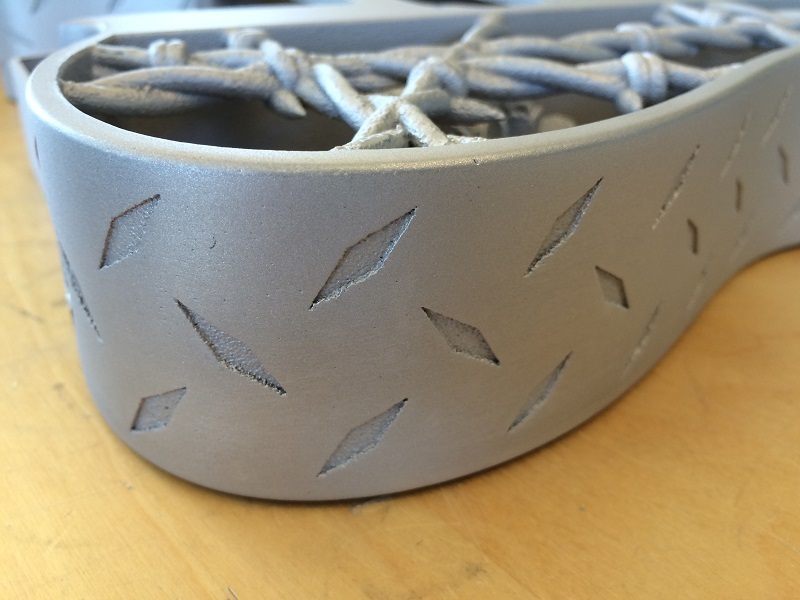 With relatively simple geometries, this could be done on a CNC machine. But on a complex geometry, such as this guitar, the only way is to remove it all by hand, which can be a very time-consuming operation. 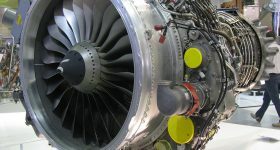 For me, this was my first hands-on experience in removing support material from a metal AM part. In total, it probably took me a total of about 4 days to remove all the support material. 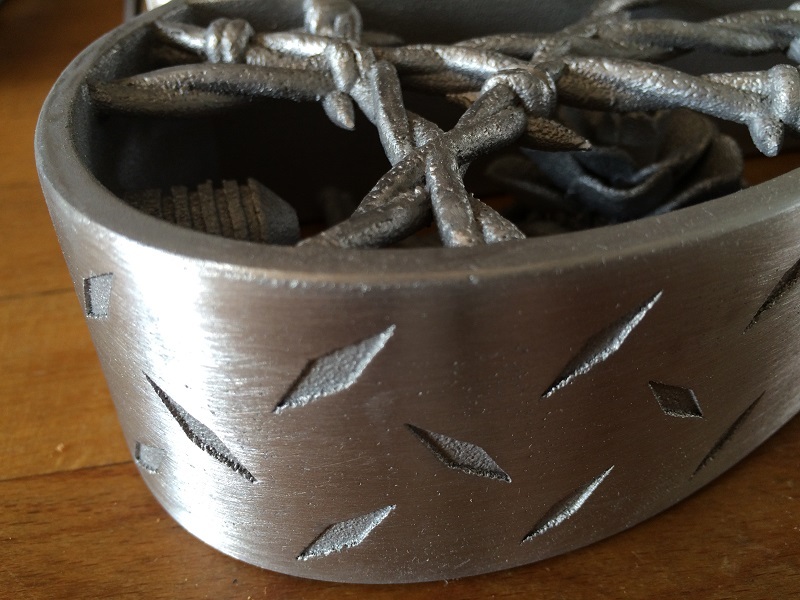 Now that I have developed certain techniques, and a better understanding of the support material, I could probably cut the time in half if I had to do it again. 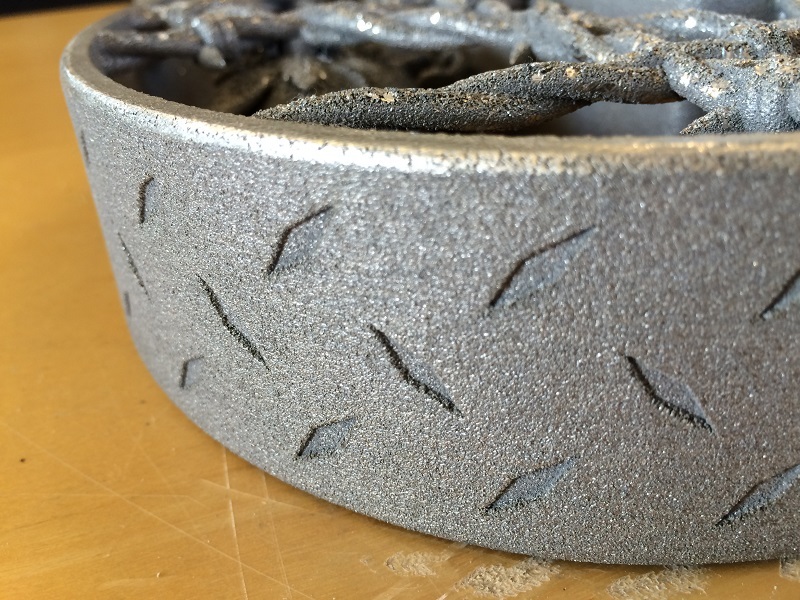 Then began the arduous task of improving the surface finish. 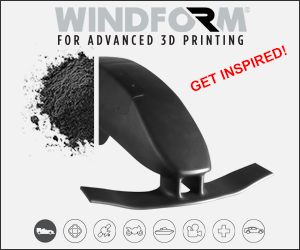 Straight off the AM system, the surface finish could best be described to one similar to a sand-cast part. 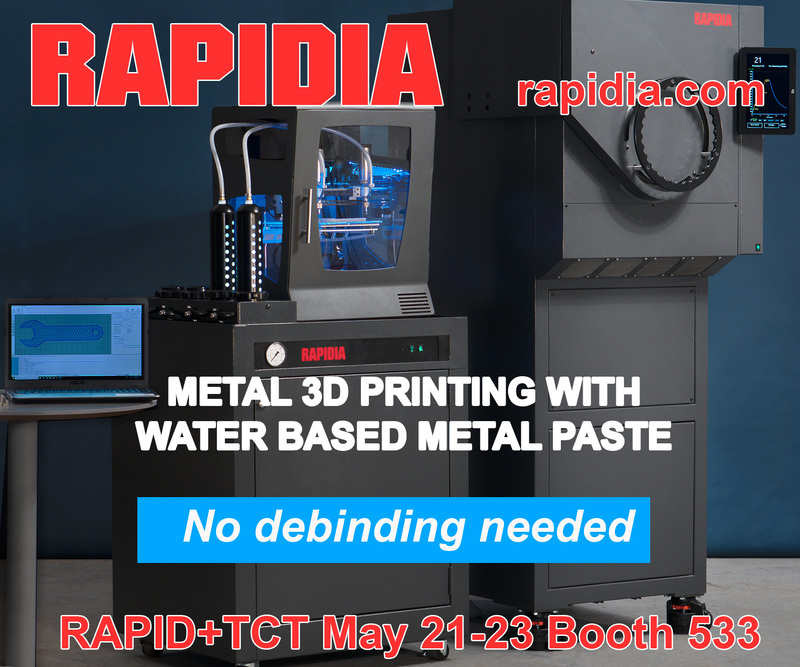 To my mind, the best way of thinking of current metal AM technologies is in exactly the same way one thinks of sand-casting. 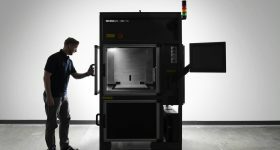 If, for example, we sand-cast an engine block, all the surfaces that require good surface finishes will need to be machined in a post-processing operation. IE: the cylinders will need to be bored out, the head-gasket area will need to be skimmed, anywhere where bearings or gaskets are going to fit will need to be machined, etc. If one thinks of metal AM in the same way, one will never be disappointed. The objective of this step was to achieve a much smoother finish that was more comfortable to touch and hold. This was, again, a very slow process that involved a lot of filing and sanding, and finally shot-peening the guitar to a soft satin finish. This step also took about 3 to 4 days, mainly because of the complex geometry of the guitar. Once all the body post-processing was finished, it only takes about a day to CNC machine the wooden inner core, get everything else assembled, wired up, set the action, etc. And, voila, a 3D printed aluminium guitar! 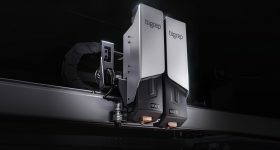 Olaf Diegel is a long-standing design engineer, with a passion for 3D printing and other advanced manufacturing technologies. 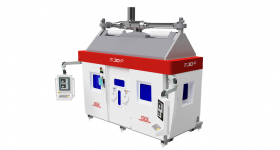 As his real job, Olaf is professor of product development, in the department of design sciences of the faculty of engineering at Lund University, in Sweden.